National or area histories, where the focus is on a particular nation such as Germany, France or Spain or region, such as Latin America, Eastern and Central Europe or the Middle East. Studies of particular periods either within or beyond a particular national context, such as the histories of Ancient Greece and Rome, the First and Second World Wars, the student uprisings of 1968, or Arabic historiography. Historians and Cultural Historians within the School work with a number of partners both to disseminate our research and to co-produce research or public engagement outputs. As an example, the Legacies of War project (2011-19) led by Professor Alison Fell, French, and supported by Professor Ingrid Sharp, German, has reached a vast number of community partners. Maximising the synergies between the university and other major civic institutions in the city and region by forging strong partnerships with a series of key partners in Leeds and Yorkshire and shaping the City and region’s responses to the Centenary. Shaping debates and deepening public understanding of WW1 and its legacies. The project has had a measurable impact on the ways in which the broadcast and print media have responded to the Centenary, in particular shaping the editorial policy and content of the BBC’s coverage. One of four WW1 co-produced MOOCs, focusing on comparative, European perspectives on the evolution of concepts of heroism has attracted over 12,000 learners. Enhancing research skills, well-being and self-confidence of a diverse range of beneficiaries through collaborative heritage research projects. To date LoW has worked with over 40 groups, from theatre groups to MPs/MEPs and civil servants, schools, local history groups, museums/galleries/libraries and arts organisations. 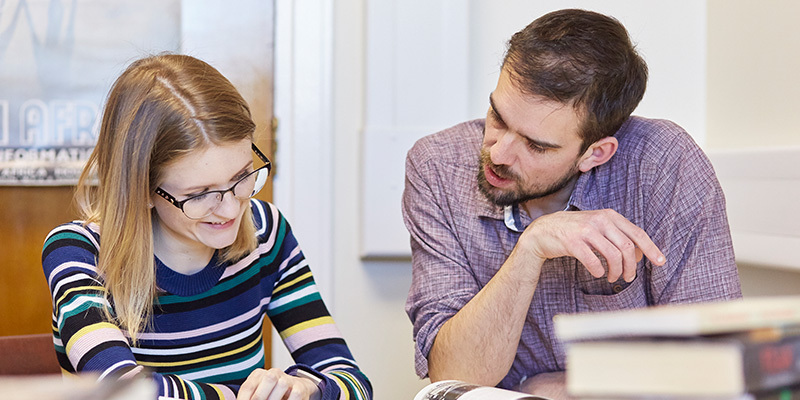 There is a range of funded research projects within the school, as well as initiatives which bring groups of interdisciplinary researchers within and beyond the University together. • Legacies of War involves researchers and community groups and acts as an umbrella for a number of projects related to the First World War that have attracted funding.